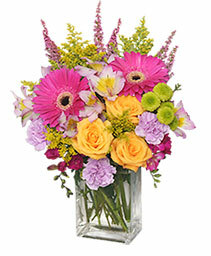 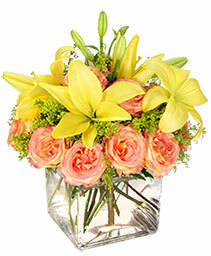 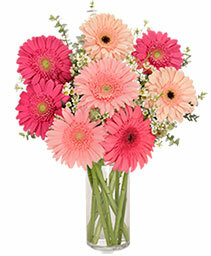 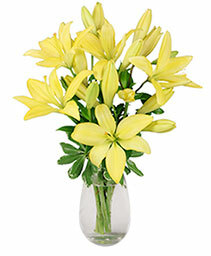 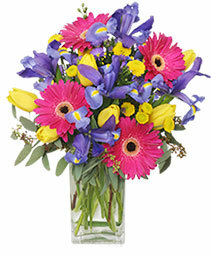 OFFER GOOD FOR DELIVERIES FROM APRIL 15TH TO APRIL 20TH. 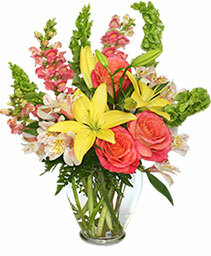 Jordan Vase, Foliage: Variegated Pittosporum, Myrtle, Yellow Lilies. 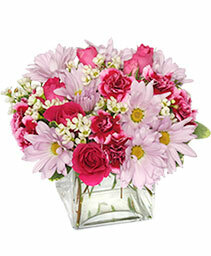 Square Cube Vase, Foliage: Variegated Pittosporum, Bicolored Fuchsia & Pink Mini Carnations, Lavender Daisy Poms, Hot Pink Miniature Spray Roses, White Waxflower. 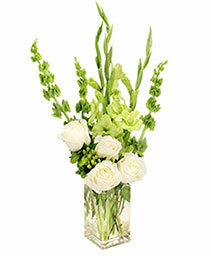 Tall Square Vase, Foliage: Aspidistra Leaf, White Roses, Green Gladiolus, Bells Of Ireland, Green Button Poms, Green Hypericum.